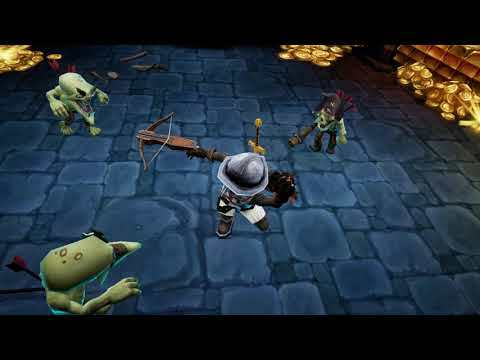 Developed by Polish studio Baldur Games and published by Ultimate Games S.A., Grave Keeper is an upcoming Hack’n’Slash title. The game’s action takes place in the Forbidden Stronghold – a dangerous place but full of wealth and unique treasures. The player assumes the role of a bounty hunter, who faces hordes of enemies and the undefeated Skeleton King. Grave Keeper will launch on Steam on March 29th 2019, with a Nintendo Switch release arriving in Spring 2019. Publisher Gaming Factory S.A., Ultimate Games S.A.